Connecting researchers and the media: Easy as A, B and C? What needs to be done to improve connections between researchers and the media? This was the first of three questions posed to me as a panel member during the International workshop on Improving the impact of development research through better communication and uptake, held at the Institute of Civil Engineers, London, UK, on 29 and 30 November 2010. The workshop, organised by the UK Department for International Development (DFID) and the Australian Government Aid Programme (AusAid), brought together close to 100 research managers, science communicators and development donors from all regions of the world. As always, I spoke from a practitioner’s perspective. Our panel was asked to discuss ‘different ways of making the links between research, policy and practice’. Each panel member was allowed 5 – 6 minutes of speaking time, with no PowerPoint or other visual aids. • Media is a PLURAL – there is no single recipe that works for all media because it is such a diverse sector! • Media is only a SUB-SET of a wider process of communicating for social change. Within this, there is always room for improvement! As a science journalist, I am a ‘critical cheerleader’ of researchers and their institutes. From that point of view, there are 3 elements that we need more of. I call them A, B and C.
• A is for Access: Today, 24/7 news cycles dominate the media landscape. That means, more often than not, journalists need quick and easy access to researchers, and rapid (or ‘live’) responses to breaking stories. Ideally, journalists want to talk to the researchers themselves, and not PR people or administrators within research institutes or universities. • B is for Bridges: To enable good access, we need strong and reliable links between researchers and the media. That can take many forms. They may be physical or virtual – including events, online platforms, and other activities. I see them as ‘Intersections’ where research, media and policy communities come together. These help share information, but also nurture trust –- that precious and rare virtue! • C is for Credibility: We’ve already heard how critical this element is to all our work as researchers and journalists. Credibility is something hard to earn, easy to lose. We can’t buy it – but good, long-term investments in people can help consolidate it. I argued that these A, B and C can certainly help improve connections between researchers and the media, and ultimately, with the wider public. 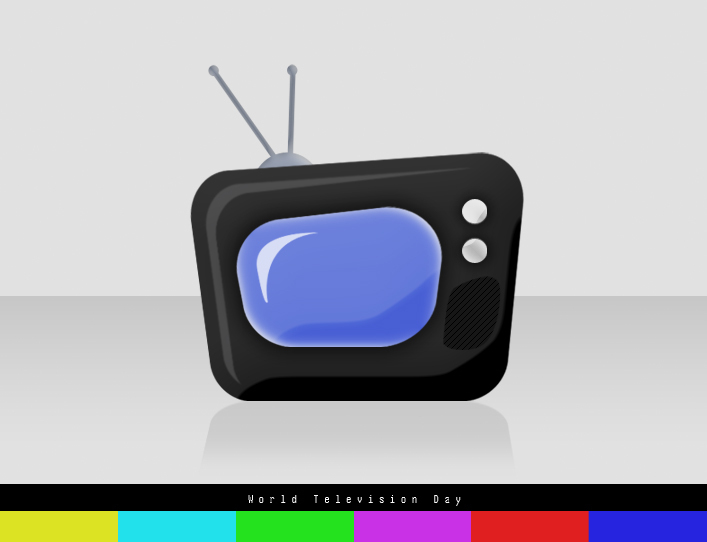 Today, 21 November, is World Television Day. The United Nations declared this in 1996 recognising “the increasing impact television has on decision-making by alerting world attention to conflicts and threats to peace and security and its potential role in sharpening the focus on other major issues, including economic and social issues”. A new survey that I was closely associated with has just confirmed that broadcast television is the most dominant and most trusted source of information on news and current affairs by Lankans of all walks of life. The mass media are the major source of public information on current news and affairs for Lankans living in cities, towns and villages – and broadcast television leads among the different types of media, according to the survey on public perceptions on climate change in Sri Lanka 2010. Broadcast television is the single most popular source, cited by the highest number of respondents (94%). It is followed by radio (74%), and newspapers and magazines (taken together, 70%). There was no significant urban/rural difference in these preferences. By mid 2010, Sri Lanka had 19 terrestrial channels broadcasting free-to-air transmissions in English, Sinhala or Tamil languages. Meanwhile, close to 50 radio channels – mostly on the FM band – crowd the airwaves. The next most widely cited information source was friends, neighbours and colleagues. But interestingly, while 52% of all respondents listed this category, only very few (2%) acknowledged it as a credible source. In contrast, the credibility factor was higher for TV (88%), radio (42%) and print media (33%). Educational institutions (schools, universities and training centres) were assigned a very low rank as a source (7%) and even lower status as a credible source (3%). Although only 9% of the respondents cited the Internet as a regular source of information for themselves, its perception as a credible source was considerably high (51%). This makes the Internet the second most trusted source for the sample, behind only TV.